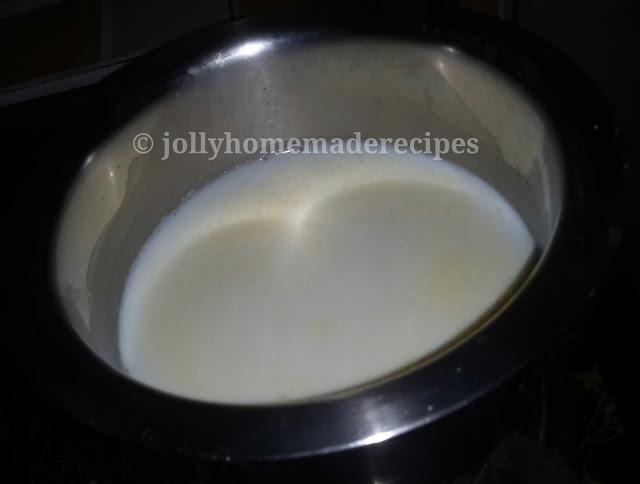 Phirni Recipe with step by step method : Phirni is a traditional Indian dessert recipe that uses saffron and rice to make a delightful traditional Indian sweet dish. It is an ideal celebratory recipe and is ideally suited for festivals such as Diwali, Eid and Holi. You can easily prepare this dessert recipe at home. This is a popular North Indian delicacy which is very easy to make and tastes great. This is a slow cooked rice pudding made with coarsely ground rice, Phirni incorporates flavors of milk, saffron and loads of dried fruits. While many of them is known about ‘kheer’ an Indian rice pudding; but this version of rice pudding uses broken/ ground rice which gives it a grainy texture and thickens the mix well. Traditionally it is perfect to give it a cool and refrigerate for a rich consistency although even at room temperature this is a pleasure. 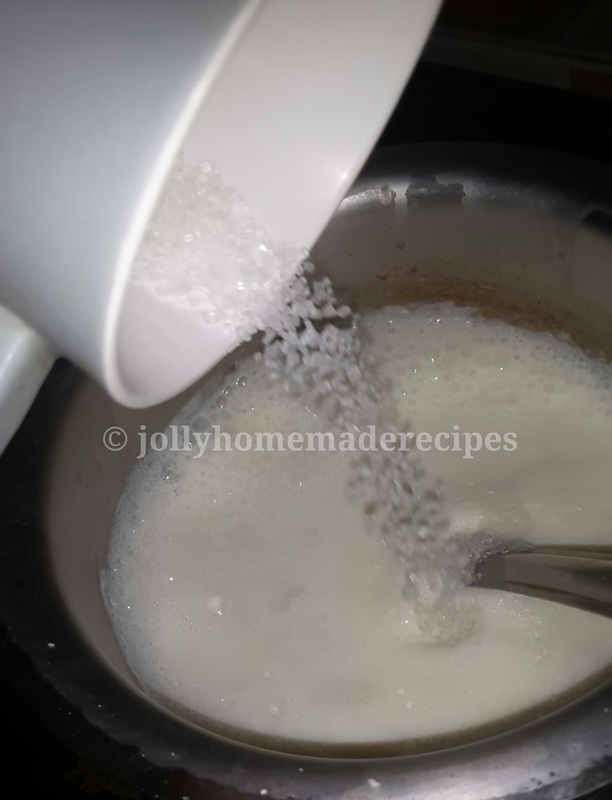 This recipe is one of the famous north-indian which is specially serving in kullads (especially in all indian marriages or big sweet shops) or earthen pots so that the rustic flavors of kullad blends with dessert. To make Kesar Phirni, rice is soaked in water for a few minutes and then ground into a coarse paste. It is then added into milk and reduced until nicely thickened. 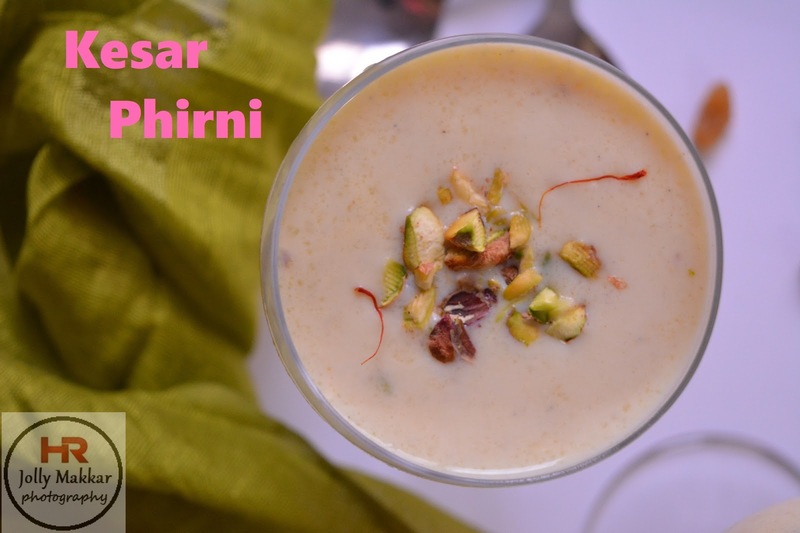 Addition of saffron gives this Phirni a delicious flavour and fragrance. 1. Wash and soak rice for an hour. 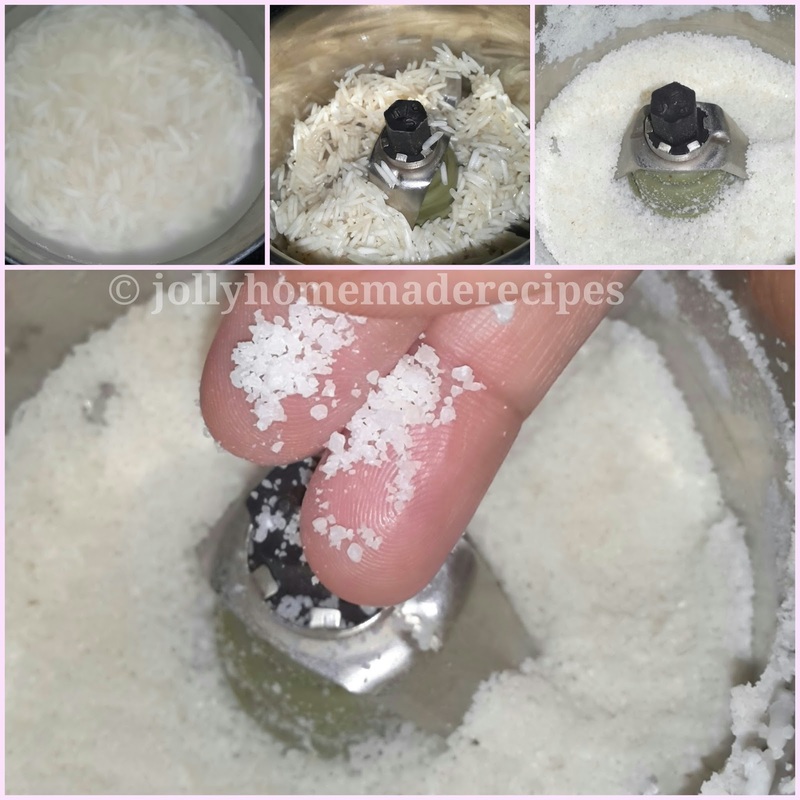 Drain the water and blend the rice in a blender to make a coarse paste. 2. Add very little water if required. 3. Soak the saffron strands in 2 tablespoon of warm milk. 4. In a heavy bottom pan, add ghee. When the ghee is hot, add the milk. 5. Add the rice and saffron to the milk. 6. Simmer the heat and cook till the milk is reduced to 1/2 and phirni has reached the desired consistency. Add cardamom powder. 7. Add sugar and rose water. 8. Transfer the phirni into bowls. Chill for a few hours before serving. 9. Serve your chilled phirni in your desired serving bowls or using short or long glass(which i used it in my post). Garnish with slivered pistachios and saffron strands. Phirni is one of my favourite Indian dessert. It is so simple and delicious. Yummylicious phirni. Love the color, texture and flavor. Awesome combo, "saffron and nuts." Your phirni color looks awesome and I loved the flavor combination! Great shots Jolly! Lovely color and yummilicious dessert! Perfect to celebrate any occassion! The phirni looks so delicious and rich, drooling for it now. One of my favourite Indian dessert, saffron gives that extra flavour and richness to any Indian sweets. I am starting my love for phirni, have not yet tried it. Yours looking lip smacking phirni. Beautifully captured. I prefer phirni over kheer and this Kesar Phirni is just perfect for the festive season..lovely color too ! Kesar Phirni looks fabulous.Such a simple and yummy dish. From kheer and phirni the later is my favorite and you have made it absolutely delicious.